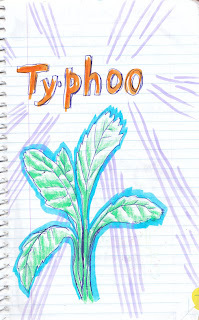 This expresses my love of Typhoo, "a truly British Tea since 1903". Thank you, Typhoo. You've changed my life. I no longer struggle to get out of bed. I've never had it but it looks delicious. That's what I've been saying for months, Dave. TAI-POO.